Windows XP was the last client supported version of Windows to only use SMB version 1, now that it’s no longer supported Microsoft are planning on shipping Windows with SMB 1 disabled by default in the future. It’s currently enabled by default for compatibility reasons with these older operating systems, however when we’re in a world where SMB 1 does not need to be supported it will not be used. Just recently in March 2017 Microsoft patched a remote code execution vulnerability in SMBv1. By having SMB v1 disabled, these sorts of vulnerabilities will not be a problem for you. The ETERNALBLUE SMBv1 exploit is actively being used in the wild to distribute the WannaCry ransomware. See here for further information specific to WannaCry. Additionally, the exploit is now being used in the Petya malware. Realistically as long as you have no Windows XP or Windows Server 2003 systems or older running on your network, this should not cause any problems as Windows should negotiate SMB version 2 or 3. SMB can be disabled both on the “server” and client side. We’ll first start off by showing you how to disable SMB version 1.0 on the server side. In Windows 10, the server side would be if your Windows 10 system is offering SMB file shares over the network, while the client side is the system connecting to the share. Open PowerShell with administrative privileges. If we run the ‘Get-SmbServerConfiguration’ cmdlet, we can see that by default EnableSMB1Protocol is set to True, as shown below. We can go a step further, and instead remove SMB version 1 from Windows 10 to prevent it from serving SMB shares over version 1 with the following PowerShell cmdlet. This will require a reboot to complete. Afterwards you can run ‘Get-WindowsOptionalFeature -Online’ and confirm that SMB1Protocol shows as disabled. This is a good step to do after you’ve had SMB 1.0 disabled for a while and are sure it’s not required. Completely removing it reduces the attack surface further and frees disk space. By disabling the server side configuration as shown above, our Windows 10 system will no longer offer SMB v1 shares. 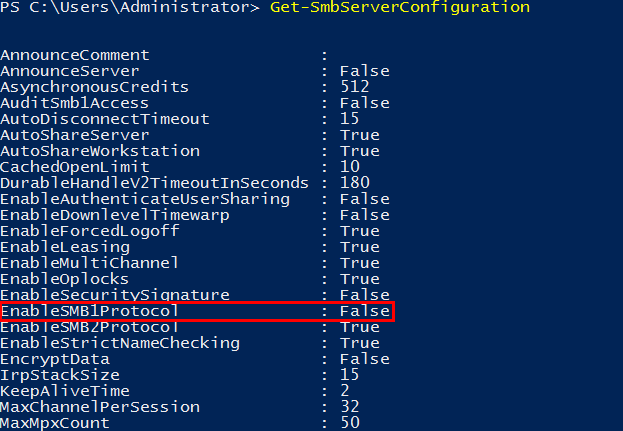 The SMB client however is still able to attempt to connect to an external SMB v1 share on another server, unless we also disable the SMB v1 client. This is done by running the following commands in either PowerShell or Command Prompt with administrative privileges. With these steps you have now seen how to disable SMB version 1.0 in Windows 10 on both the server and client side using Windows PowerShell. This can help secure your Windows system as SMB v1 is considered an older protocol with many known vulnerabilities that have been discovered recently. Thank you very much!!! This should help protect my Windows 10 PC. thank you! you should also post the commands for re-enabling all of the above, just in case! For me it’s better than configuring firewall rules. Ideally you should still configure firewall rules as well, who knows if/when a similar bug for SMB 2/3 will come out in future. By only allowing trusted hosts access to the SMB ports you can restrict potential issues like this. On the last step, when I entered sc.exe config mrxsmb10 start= disabled, the system replied The specified service does not exist as an installed service. Did you completely uninstall SMB v1? If so that’s normal and you’ll see an error like this as it’s no longer there to disable. Thanks. I’ve followed every step, including the “Remove SMB v1” steps. 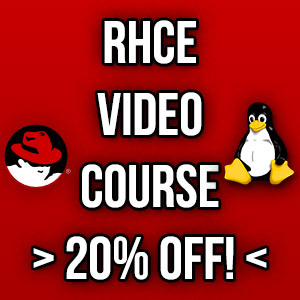 You should also confirm that smb 2 is enabled before disabling smb 1. See https://support.microsoft.com/en-us/help/2696547/how-to-enable-and-disable-smbv1-smbv2-and-smbv3-in-windows-and-windows-server for complete configuration options. Yeah worth doing before possibly breaking things in a larger environment, although it should be on by default like SMB v1. I have a question about the server side. it says the EnableSMB1protocol is enabled. Do we have to run both commands to completely shut off smbv1? The PowerShell cmdlet should turn off server side SMBv1, while sc.exe should turn off client SMBv1. 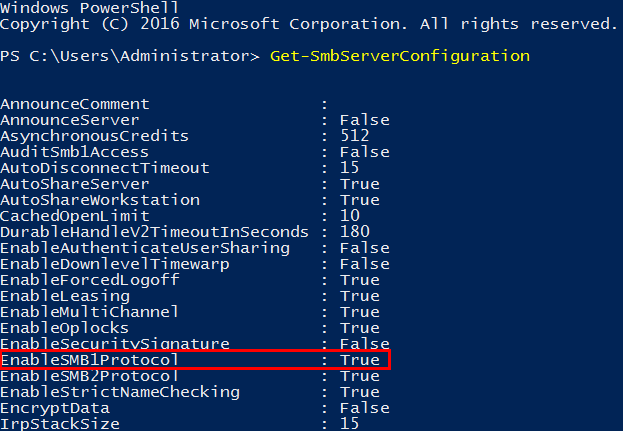 Using the PowerShell Get-SmbServerConfiguration shows the server side I believe.